The Street Fighter has been in Mystery Ranch's lineup for sometime now and has carved it's place out as a simple yet effective EDC bag. 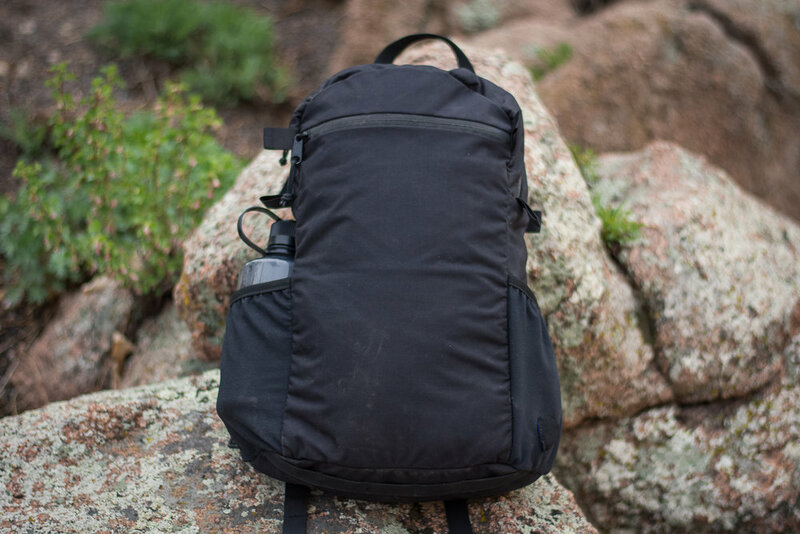 The bag pictured here is an older generation that included the upper attachment points needed to attach accessories (the webbing loops about 2/3 of the way up on the sides), but is otherwise the same pack as is currently available. 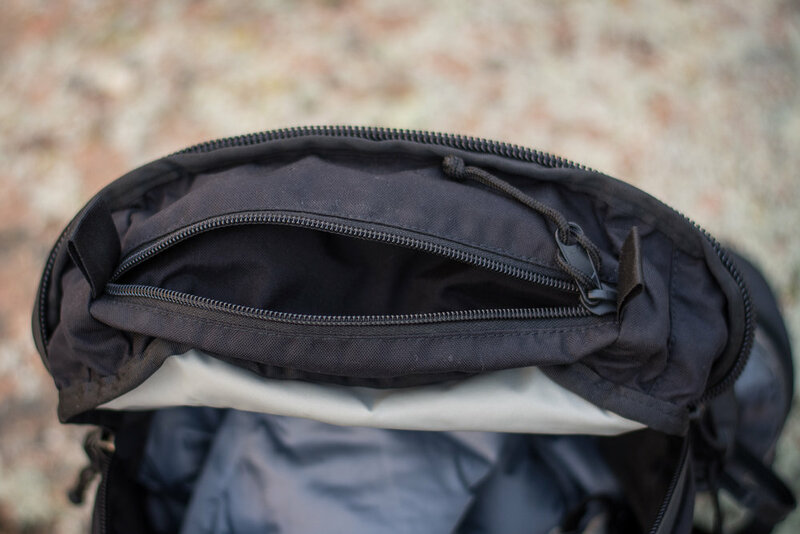 It features a simple admin pocket on the face and webbing to lash to across the bottom, while dual stretch bottle pockets adorn the sides (there is a patch on one here). 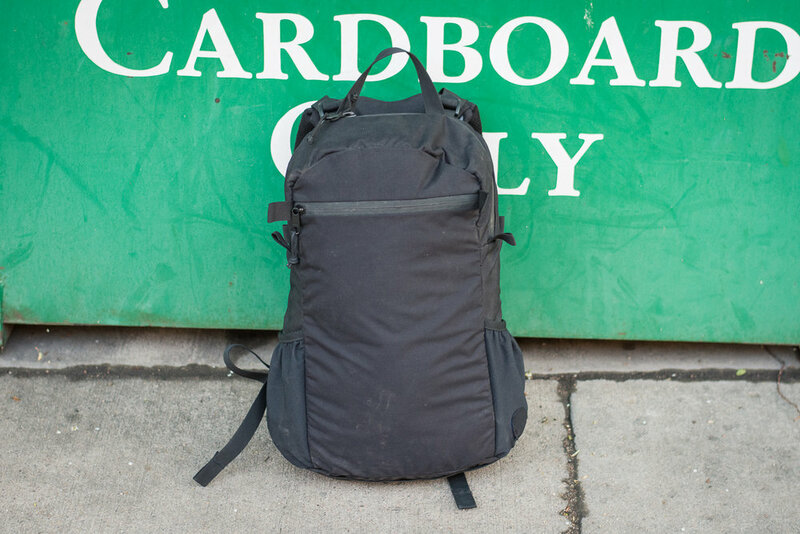 A top loading bag, the interior contains a little pocket at the top of the front panel good for a glasses case or similar items, and the back panel supports two unpadded sleeve pockets for a laptop and tablet sized items. 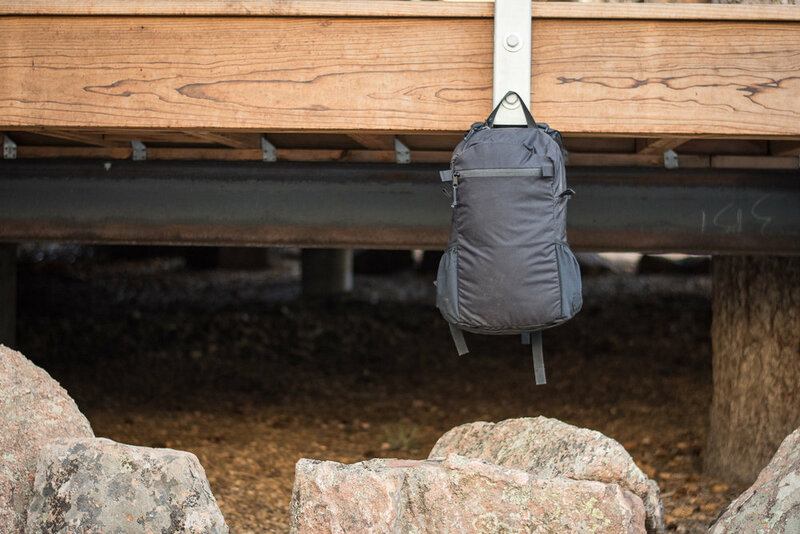 Hung on the Futura Harness, the Street Fighter is a delight to carry with most loads. I have no hesitation in suggesting you check this one out - it looks good, carries well and does what it needs to.